The system taught on this course is the traditional Usui system developed by Mikao Usui . 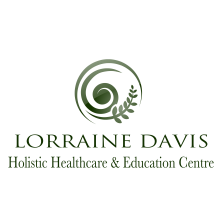 Your tutor will be respected Reiki master Lorraine Davis who has over 20 years of Reiki teaching experience and is privileged to share a particularly close and direct lineage with Dr. Usui. This is the first level of Reiki. It is suitable for therapists and lay people alike - everyone is welcome to come and share the gentle energy. ​It will enable you to connect with the universal energy that exists all around us to help yourself, friends and family, or animals and plant-life. If you are interested in using Reiki as a therapy in your practice - then this is the starting point. If you would like to talk to us before committing to a course - please feel free to contact us, we shall be happy to advise. Your workshop will be informal and relaxing. Our teaching follows a traditional format, with 4 attunements over 2 days, and observes the beautiful rituals as they were taught to us. All practical teaching is in small groups and there is clear integration with theory and practice - everything is brought together within a holistic learning experience. Have a basic understanding of energetic fields and systems .